Scenario, which includes the formation of diagonal triangle pattern, still remains in effect. We can’t exclude a possibility that the pair may start moving upwards again in the nearest future, however, the market is unlikely to grow up very high. 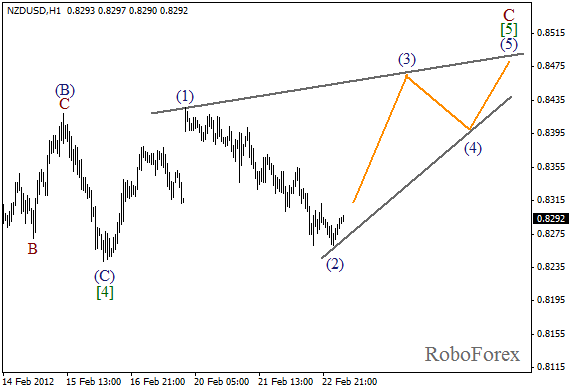 Most likely, wave  of C will be finished at the level of 0.8500. The formation of wave (2) is taking too much time, but the current chart structure is in effect until the price breaks the minimum of wave (1). The forecast hasn’t changed much. In the near term, we can expect the price to start moving upwards while forming the third wave. It looks like the correction continues. The second wave may be completed within the next couple of days, and after that the price is likely to start growing up inside the third wave. 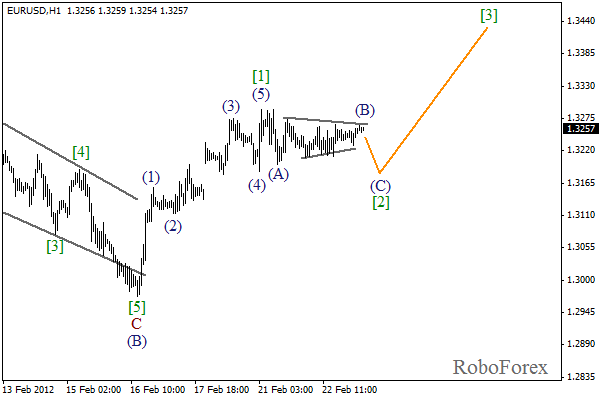 The short-term target is the level of 1.3400. 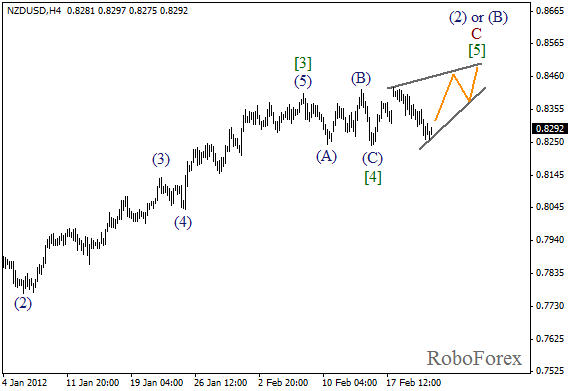 We may assume that the consolidation, which has taken place over the last several days, is a horizontal triangle pattern in wave (B). 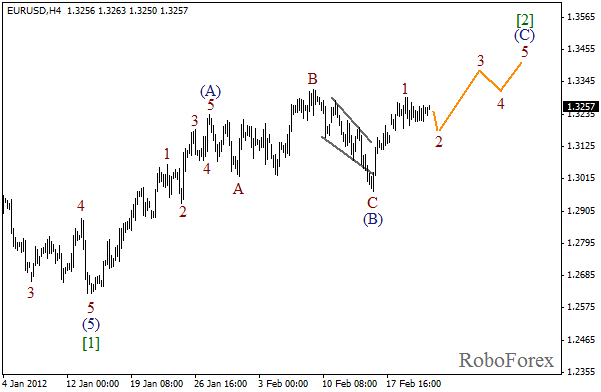 The price may start a local descending movement inside wave (C) of  on Thursday. In the future we can expect the pair to start growing up while forming the third wave.